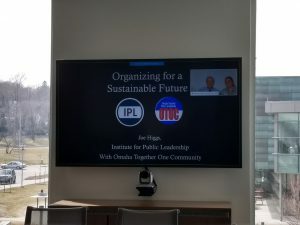 Lead Organizer Joe Higgs and Project Intern Greta Carlson spoke as part of the Sustainability Leadership Presentation Series (SLPS) at Metro Community College about how to use organizing for environmental sustainability. Over 100 faculty, staff, and students watched the webinar in universities across the state of Nebraska. 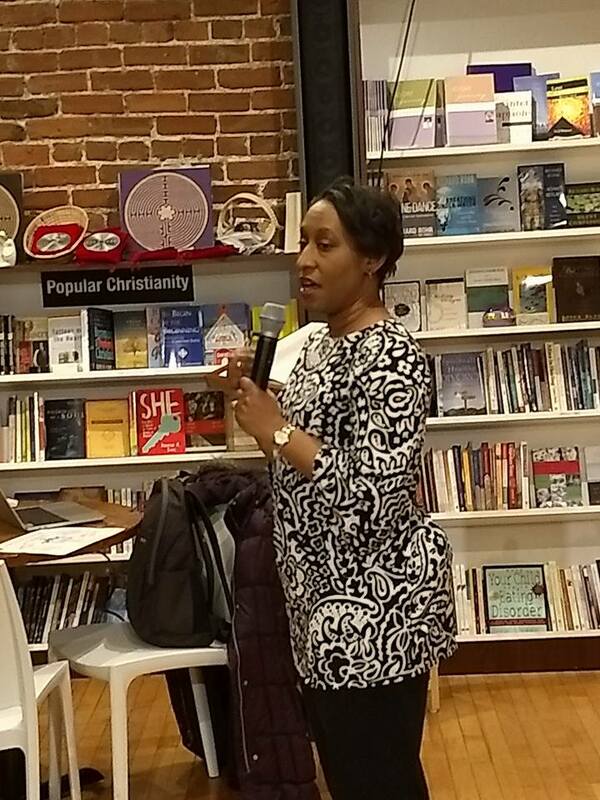 The presentation taught about how leaders can use the cycle of organizing and organizing practices to organize their communities and enhance their sustainability efforts by growing power through their community. 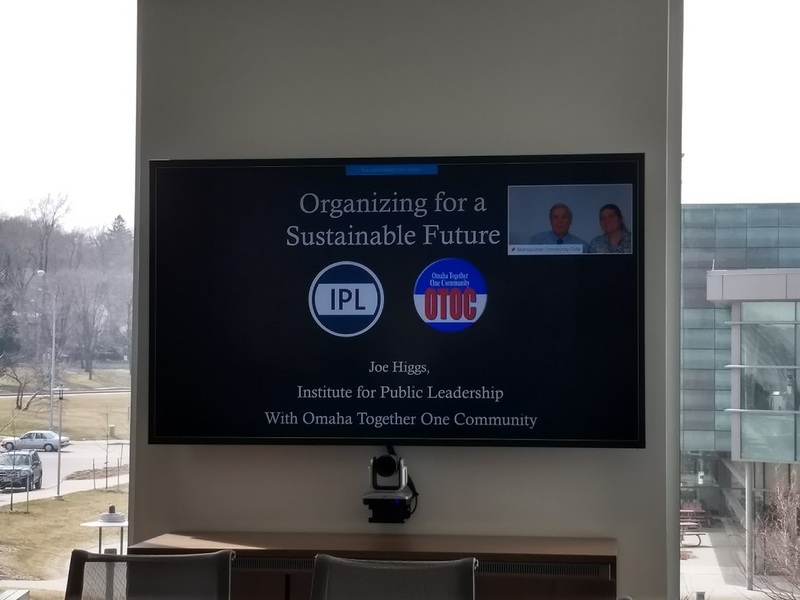 Joe Higgs used the example of OTOC formed their environmental Sustainability Action Team to work on local environmental issues in Omaha. OTOC leaders first kept hearing that people were concerned about environmental issues after a great flood in 2011. 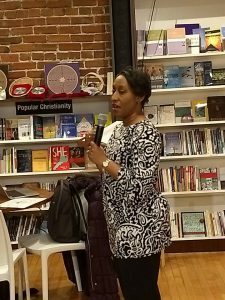 Then, at an issues conference, enough people were interested and willing to take leadership, that an action team has formed and is now working on issues like the city’s new waste contract and potential ban on plastic bags. These issues use power to talk to and influence city council members as they create policies that affect the environmental sustainability of Omaha. 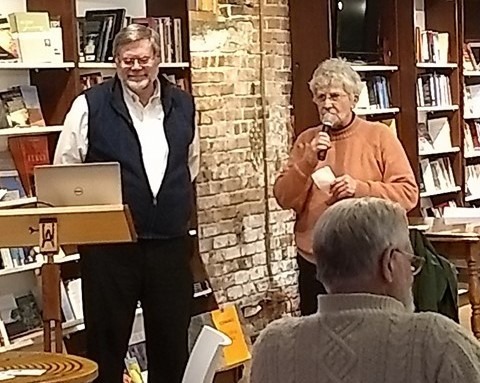 To view the presentation online, follow this link. To learn more about Metro’s SLPS program, follow this link. 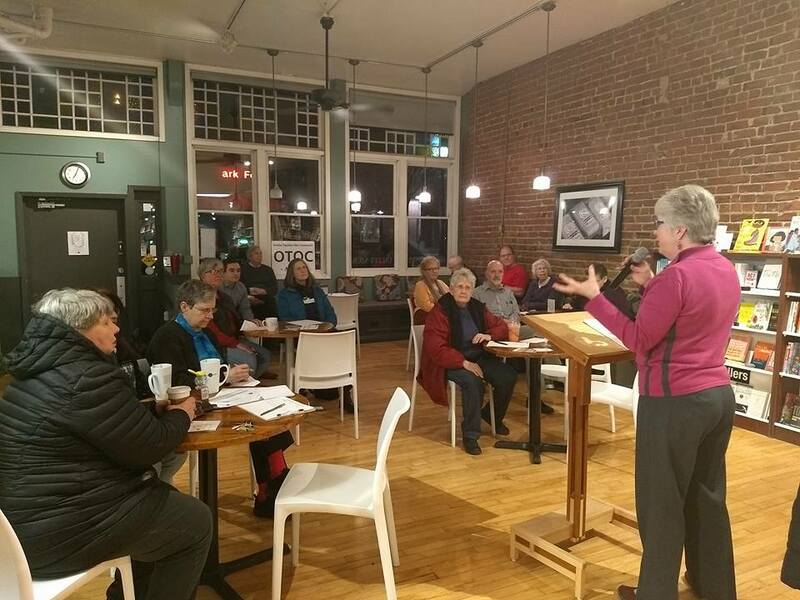 Urban Abbey hosted three different Issue Cafes in the Month of February for OTOC Leaders and community members learn more about relevant issues happening in Omaha. 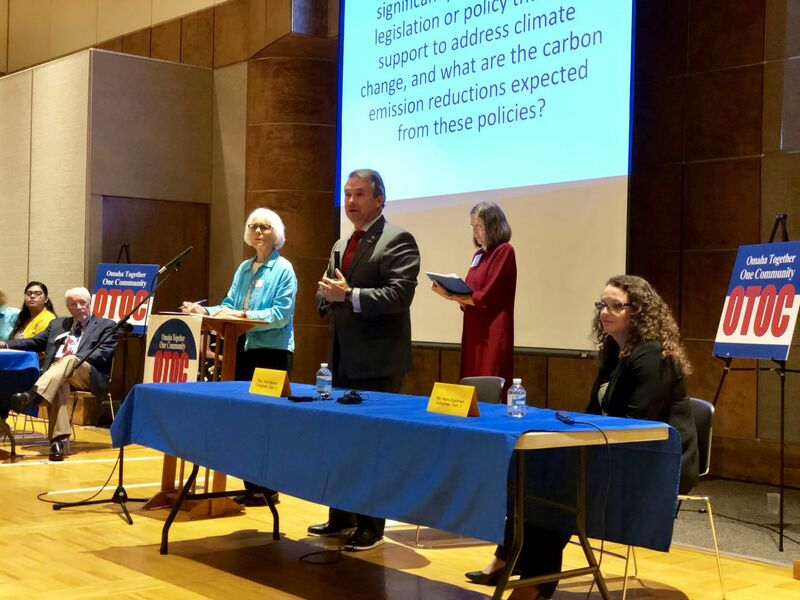 As a method of transitioning consumers away from carbon fossil fuels and toward sustainable energy sources, the Carbon Fee and Dividend plan puts a fee on fossil fuels at their source, i.e., mine, well or port. The fees will then be passed on to the consumers of products that fossil fuels affect. The collected fees will be divided equally and a monthly dividend will be sent to each household in the country. Thus, households that have spent less on fossil fuel products will receive the same dividend as those households that have spent more on these fossil fuels. Household members may spend the dividend in any manner. This is a market based approach to move our economy away from a reliance on carbon based fossil fuels and towards renewable and cleaner energies. 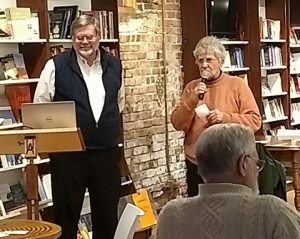 Also visit the Citizens Climate Lobby website to learn more about their campaign.